Little did Dr. Suess have a clue: when he uttered those words, he uttered them for you! Not only do they encompass so much of what it means to enjoy Halloween—or any party, for that matter—but it is the perfect literary quote to blurt out when you find yourself itching for the spotlight. Yell it in the kitchen and then act out Green Eggs and Ham, or something. We recommend keeping it simple with a little dance. That is unless you are comfortable balancing on your appendages: a cup and some cake, the fish and a rake, some milk in a dish, and a little toy ship—all while bouncing on a ball. No pressure. ...Yeah, we thought so. Better get your dance moves ready! 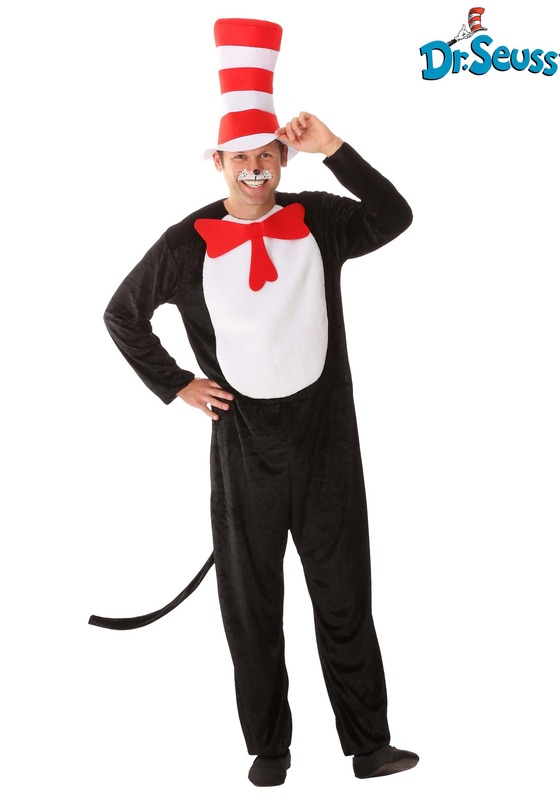 This Cat in the Hat adult costume comes with everything you'll need to bust a move as literature's greatest feline. The black jumpsuit comes with an attached red bow tie, a detachable black tail, and the legendary red and white striped hat—which could double as part of a less subtle Where's Waldo costume next year! Are you ready for mischief, shenanigans, and maybe a mess? With this costume, mischief or not, you'll be sure to impress! 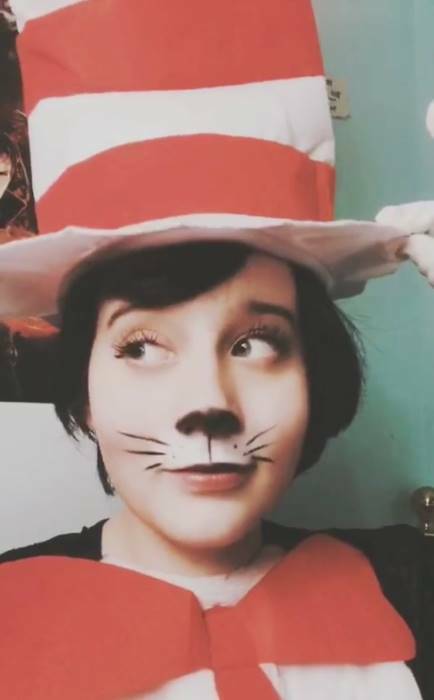 My granddaughter lived the costume. Fit perfect.